Much as I love my Kindle there’s a lot to be said for a real book once in a while. 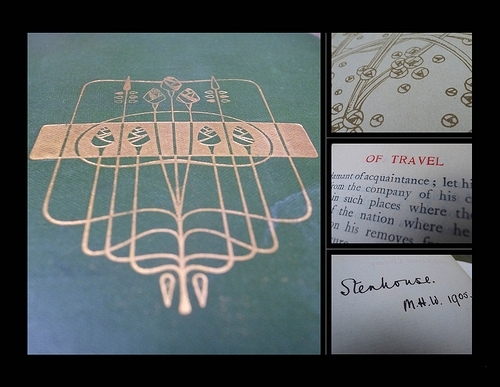 I’m amazed just how much book you can get for £7 — one that’s over a century old, with great little decorations. Bertha Stenhouse wrote her name in her book way back in 1905. I know my Kindle books won’t be around in 2124 but maybe Bertha’s book will be if I look after it as well as she did.